In Advertising > Show & Tell and Tools and Hardware > Show & Tell. This is a circa 1950's full box of five Schrader Tire Valve Cores made by the A. Schrader 's Son , Inc., Brooklyn, NY (Division of Scovill Manufacturing). 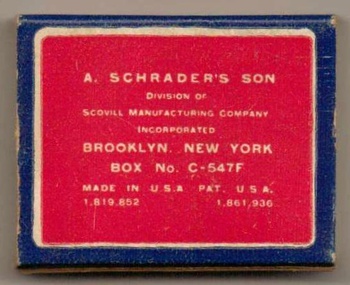 The slide-box carries the product number C-547 F and the two original patents obtained in 1931 & 1932. 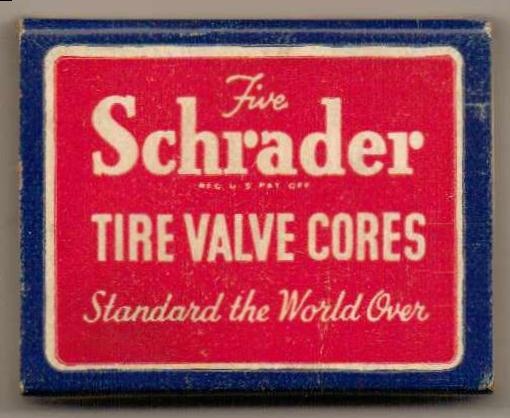 --- The Schrader valve is a brand of pneumatic tire valve used on virtually every motor vehicle in the world today. The Schrader company was founded in 1844 by August Schrader. 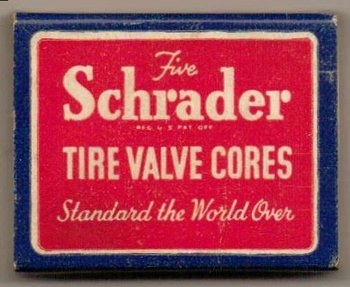 The original Schrader valve design was patented in the United States in 1893. 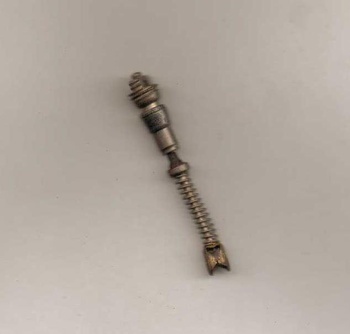 The Schrader valve consists of a valve stem into which a valve core is threaded and is used on virtually all automobile tires and motorcycle tires and most wider rimmed bicycle tires. 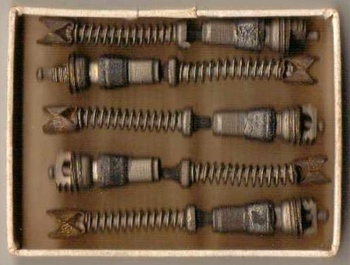 The valve core is a poppet valve assisted by a spring.